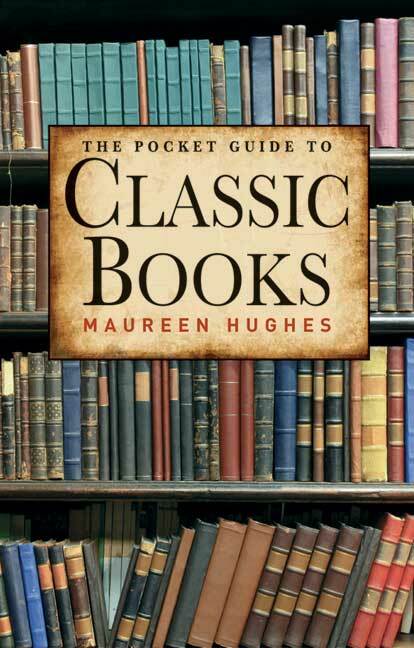 You'll be £14.99 closer to your next £10.00 credit when you purchase The Pocket Guide to Classic Books. What's this? Maureen Hughes' inspiration for her Pocket Guides series is that she believes theatre and literature are for everyone, but can at times seem a somewhat exclusive club, with the membership criteria being intelligence, especially in the case of classic books. The result is that those who are, for example, not well-read remain so. But one only has to take a look at the viewing figures for costume dramas - adapted from the classics - to realise that there are many people out there who would like to be a member of this exclusive club. So what puts them off? Maureen believes that it is quite simply a lack of basic awareness. Maybe Joe Public wouldn't want to sit through one of Stoppard's verbally acrobatic plays but he might be interested to know a little about that man too and maybe how many plays he had in fact written. Maureen Hughes teaches at the Laine Theatre Arts in Surrey and has written eight musicals, one of which was produced in London’s West End. She has written 4 "Pocket Guides" for Remember When, following the success of The Pocket Guides to Musicals; Plays & Playwrights and The Classics.